Summary. A male wood-warbler with unusual traits was discovered in Pennsylvania, and determined to be a product of a hybrid between a male Chestnut-sided Warbler (Setophaga pennsylvanica) and a female that was itself a hybrid between a Golden-winged Warbler (Vermivora chrysoptera) and a Blue-winged Warbler (Vermivora cyanoptera). The bird sang like a Chestnut-sided warbler, but had plumage that resembled a Vermivora warbler, and its mitochondrial DNA was from a Golden-winged Warbler. Although hybrids occur occasionally, triple hybrids such as this are quite rare. Populations of Vermivora warblers are in decline, which may reduce their discrimination in mate choice and lead to increased rates of hybridization. Comment. Wood-warblers (Family Parulidae) comprise a family of songbirds restricted to the New World, with about 17 genera and 109 species. Hybridization between species in the same genus has been documented many times, but this is an example of hybridization between species in different genera. Such events are uncommon, but several other examples are known. To some extent, the frequency of inter-generic hybrids among birds may reflect taxonomic over-splitting: birds that could just as well be classified in the same genus are instead classified in separate genera. Hybridization is an indicator of probable common ancestry, and it is likely that the two genera in this example, Setophaga and Vermivora, share a common ancestor. 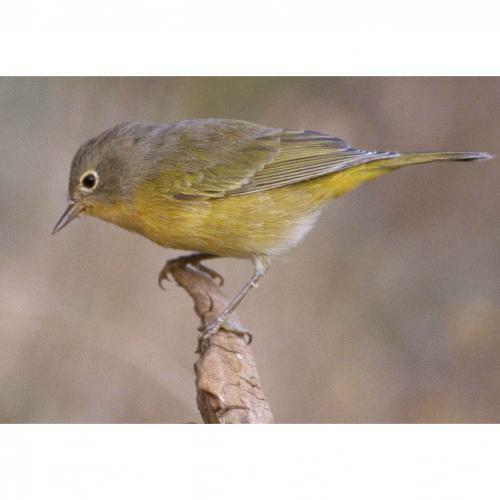 Several other intergeneric hybrids among wood-warblers suggest that common ancestry extends beyond the two genera in this report. Other intergeneric hybrids include: Setophaga x Seirus; Setophaga x Mniotilia; Oporornis x Geothlypis; Oporornis x Vermivora. The genera involved in these hybrids represent 51 out of the 109 species, and it seems plausible that the entire family derives from a common ancestor. (Jente Ottenburghs), Avian Hybrids. https://avianhybrids.wordpress.com/parulidae/. Accessed 3 December 2018. The third part of this series on biogeography examines how the flood might have influenced the present patterns of distributions of various types of living organisms. The number of different kinds of living organisms is one measure of biological diversity, or what has become known as “biodiversity.” Our world’s oceans have the highest known biodiversity, second only to the number of species found in the tropical rainforest. One person’s cultural background can bias their view about people from other cultures… even before they have ever met. Could people also have a bias about how they think about other creatures? It may even be possible that scientific culture could prejudice the way researchers see creature-environmental relations with the potential to bias whole research programs.